The K2XX project with the multinational Lear, started three years ago and has now been extended for the third time. Lazpiur has won an order from the Philippines to manufacture three machines ultimately directed at assembling the General Motors car fuse boxes. This order is part of an extensive project with the multinational Lear. This project, named K2XX, commenced in 2012 and, with this latest delivery, it has now been extended three times. 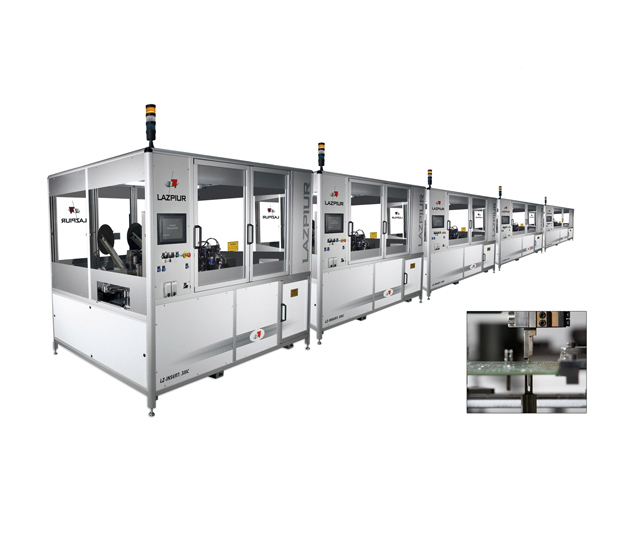 The initial stage consisted in the manufacture of six terminal insertion machines, whilst the second stage was for an additional machine of similar characteristics. The machines to be supplied by Lazpiur are responsible for inserting the passive terminals on the printed circuit boards (PCB) forming the fuse box base for the vehicles made by General Motors. In June, the order will be sent to one of the plants owned by the multinational Lear in the Philippines, a country in which Lazpiur already employs a team of local staff to provide technical support. With this contract order, this Guipuzcoa-based company has strengthened its good relations with this multinational, to which it has been supplying machinery to different plants distributed across the globe for a number of years now. “Specifically, the relations between Lazpiur and the Lear plant in the Philippines started in 2005. Since then, we've supplied three production lines (insertion and final assembly) for the manufacture of the fuse boxes for Ford, Nissan and Mitsubishi”, explained Jon Ugarte, the sales director of this Basque company. This new step between Lazpiur and the plant in the Philippines also increases and strengthens the footprint of this Guipuzcoa-based company operations in the Asian market. This Basque company exports to 25 countries and is currently undergoing a period of expansion. The company is dedicated to the design and manufacture of machinery, as well as the manufacture of precision forging tooling. Two separate divisions, which are primarily focussed on supplying multinationals such as Ford, Mercedes, Volkswagen and TIER-1 such as Lear, Delphi, Continental, GKN, NTN, etc.